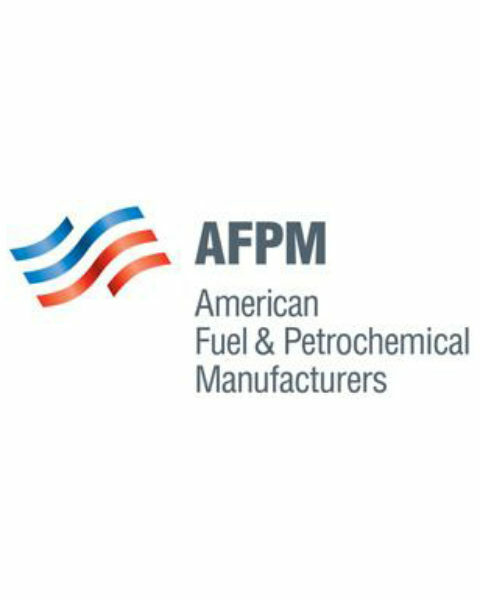 The American Fuel & Petrochemical Manufacturers (AFPM) is a national trade association representing 98 percent of oil refining capacity in the United States. The AFPM was formerly known as the National Petrochemical & Refiners Association, before rebranding in 2012. Both James Mahoney and Charles Drevna have served in leadership capacities at the association. Mahoney twice served as chairman of the board of the organization, once while it was the NPRA and then again during the group’s rebranding in 2012. Drevna served as President of the AFPM. The AFPM has a long history of taking positions that promote oil interests and undercut any potential competition to petroleum products, such as: opposing renewable fuel standards, supporting increasing domestic oil and gas production on public and private lands, and arguing that the EPA has no authority to regulate greenhouse gam emissions. In late 2018, AFPM was linked to a shadowy campaign aimed at rolling back fuel efficiency standards. The website of a front group, Energy4US, was registered by an AFPM staffer, and the group is listed as a member of the coalition. According to old WHOIS website registration information, Energy4US was formerly registered to Victor Adams, head of websites and marketing at the American Fuel & Petrochemical Manufacturers (AFPM). Other deviations of energy4us.com and .org were also registered to Victor Adams. AFPM also recently joined the U.S. Chamber of Commerce, the National Association of Manufacturers, and others in filing a petition for review to block the Environmental Protection Agency’s Clean Power Plan. While AFPM has long opposed the Renewable Fuel Standard and the integration of biofuels into gasoline blends, the two industries are working together to lobby against EV incentives. In February 2017, while on a panel with the head of the Renewable Fuels Association, Chet Thompson, president of AFPM said, “(We) think we should be working to promote the longevity of the internal combustion engine.” Thompson added that AFPM welcomes RFA and others pointing out what he described as “inequities” in the support the electric vehicle industry receives. What Was Fueling U.S. Forward?